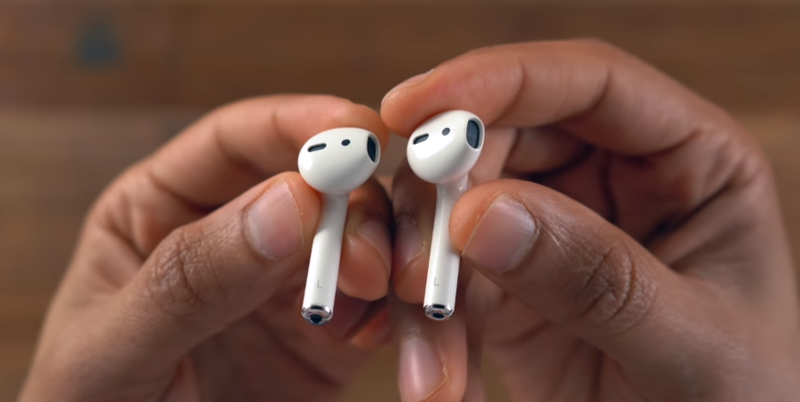 The Apple AirPods were first introduced back in September 2016 and marked the end of Apple’s traditional 3.5mm headphone jack. Some may not like Apple’s move away from its headphone jack port, something we have grown accustomed to. But, the fact that the whole smartphone industry is now following this design trend. The original AirPods had a good start upon release as it received millions of registrations. However, Apple’s earbuds were criticized for its staggering price tag and lack of innovative features. Last month, Apple debuted the second-generation AirPods with the old same design and a bunch of new tech under the hood. So do the second-generation AirPods live up to our expectations? The original AirPods did not come cheap upon release as it retailed for $159 in the US. And there is no exception to this year’s earbuds. Apple officially confirmed the pricing tiers for its second-gen AirPods. Specifically, the new AirPods cost $159 with the standard charging case. If you choose to go for the earbuds with the wireless charging case, you are looking at $199, meaning that you need to slash an extra $40. In reality, you can buy a third-party wireless charging case for your original AirPods for around $80, but it’s a good idea to stick with an Apple-branded product. One thing you will notice when you have the new AirPods unwrapped is that they look pretty much the same as the original model. Of course, there are some key differences that set them apart from the predecessors. Indeed, with the new AirPods, we have a LED indicator on the outside of the charging case. On the rear, the hinge has been slightly redesigned to reduce fingerprint attraction, making it more visually appealing. The Connect button on the new AirPods is placed slightly higher. However, the cavity where your AirPods rest is exactly the same on both models, while the serial number and battery information still sit on the inside of the charging case. In short, Apple has not changed the design of the new AirPods at all. They look identical, but what’s not identical is the tech on the inside. Personally, the Apple AirPods are still the most beautiful earbuds I have ever seen on the market and they have a cult following. Indeed, Samsung Galaxy Buds took some design hints from the AirPods, but it seems that Samsung did not do a good job. I have to admit that there is no difference between the two in terms of sound quality. They sound identical, but the AirPods 2 is a little bit louder than the original model. I tested a couple of different songs with the new AirPods and the difference is minuscule. So, if you are looking for a sound-quality improvement, then there is no reason to upgrade. One of the major problems with the original AirPods lies in its audio delay. However, Apple confirmed that the game latency was reduced on the new AirPods. To justify Apple’s claim, I tested a number of games with the AirPods 2 like Asphalt 9, Modern Combat Versus, and Sniper Fury, and there was a noticeable improvement. Indeed, I heard the sound effect as soon as I pressed on the menu or switched between in-game settings. As for the auto-pause speed, I noticed a little bit of speed on the 2nd model, while there was a slight delay on the first-gen earbuds. That seems plausible as the AirPods 2 features a new accelerometer that helps to improve the speed of the double-tap function. One of the biggest additions to the second-gen AirPods lies in the wireless charging capability. This means that you can wirelessly recharge your case without plugging it in. However, keep in mind that the wireless charging case is optional and works with the original AirPods, too. So you can buy a wireless charging case for your first-gen AirPods for around $79. I ran some tests to see how wireless charging works on the new AirPods and the results surprised me. The case charged slowly on my Qi-certified chargers than plugged in. Personally, it’s not worth paying an extra $40 for the wireless charging model as the battery life is already fantastic. The wireless charging capability is what sets the AirPods 2 from their previous model. And it’s not a massive change. However, if you are planning to buy a pair of earbuds for your iPhone and you have had eyes on the AirPods 2 for a while, then this is it. In contrast, If you already have the first-gen AirPods, I don’t think the reason to get a new model is wireless charging. Siri, Apple’s personal assistant, has been part of the AirPods since their initial release. With AirPods 2, Apple has taken everything to a whole new level. The second-generation AirPods now support voice-activated Hey Siri and it’s hands-free. This means that you can quickly trigger Siri without using your hands. All you need to is to talk and Siri will talk back. This is all made possible by the new H1 wireless chip inside the new AirPods. Apple says that the new chip allows for a few improvements like faster switching time, easier connection with iPhone, and lower latency. Apple’s second-gen AirPods are among the best earbuds on the market. Despite small changes, it is a fine option for those who never have an Apple AirPods. If you now have the first-generation AirPods, then there is no reason to upgrade.